Do you love to exercise? 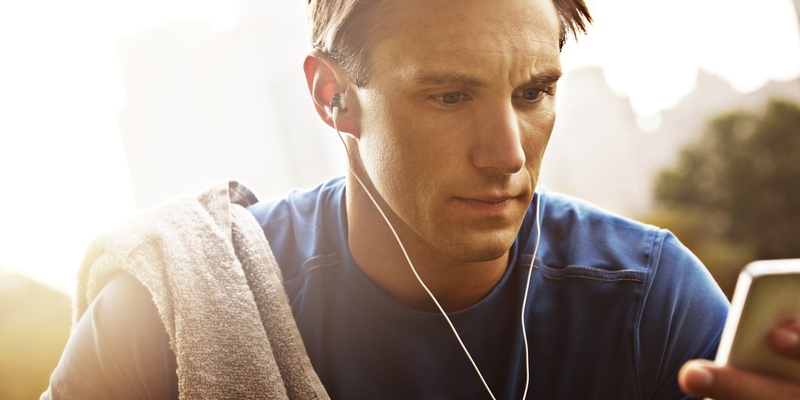 If you do, these top rock workout songs can help get you in the mood. Even if you hate to exercise, these songs can make what seems like a tedious event move much faster and feel much more enjoyable. These 10 best rock workout songs are great for anyone who needs to get their adrenaline pumping. The following 10 rock workout songs are in no particular order, but each one can boost your energy and get you running. This heavy-hitting song from two of country music’s sweethearts might seem like a bit tame until you are in the middle of a long run or trying to finish up that one last set on the bar. Another country song that has a surprising rock edge. This song is great for those times when you just need a little dance to go along with your workout. In fact, dancing to this one is sure to burn some calorie. The lead singer barely stops to take a breath throughout the song, and that’s what it can do to you when you use it as a workout platform. This song focuses on the hard-hitting guitar and lots of “hey hey hey” that will make you smile even as you sweat. It might be hard to believe that a song with so much twang could be a great workout song, but just wait until you get to the chorus! It’s one of those catchy songs that is so contagious, you just might sing along. But if you’re in a gym, that might be embarrassing. This is one of those songs that is great for adults but not so much for kids, so be sure to listen to it while you wear headphones! The song is considered “stripper rock,” a tune about a bad girl gone wild and the man who wants to be her knight in shining armor. By one of the world’s most popular singers, this song appeals to everyone: pop, rock, country... It makes no difference! You will really hit your stride when the chorus kicks in with all those drums and guitars. Do you want it? Do you need it? This rock workout anthem is a testament to a song that makes you want to scream at the top of your lungs as you push your way through a dozen more reps. Good times here! You must know the song, and you must have heard the lyrics chanted at various sporting events, bars and even high school dances. This guitar-driven tune will have you bouncing and dancing through your workout. This might be an anti-war anthem, but it makes you feel invincible as the music builds and builds, exploding into hot guitar at the end of the first verse. From that point on it’s a heart-pounding, non-stop ride that is sure to get you moving. A huge hit back in the 90s, this awesome song brings the best of lyrics and blends. It's got the best of rap to create a tune anyone can sing (or rap) along to. It also provides you with an adrenaline rush as well as nostalgia. Server responsed at: 04/18/2019 9 p.m.